Are you a pirate who left 40 behind a long time ago? Are you looking for a change in latitude to go with your attitude that the kids these days don’t know how easy they have it? Why, you can’t even claim that there’s a woman to blame anymore, just because you know that it’s your own damn fault! Well, pack your Hawaiian shirts and your inflatable novelty sunglasses and head down to Daytona Beach, Florida (if you’re not already there), you salty old dog, because Curbed reports that a Jimmy Buffett-themed senior living community is currently under construction. That last part is key to what Margaritaville Holdings refers to as an “immersive brand experience” for the small town’s worth of aging Parrotheads who move to the development in search of “Margaritaville’s authentic, ’no worries,’ tropical vibe.” Based on a quick scan of the Margaritaville Facebook page—not to mention half of Jimmy Buffett’s discography—that vibe mostly translates into getting blackout drunk every day, because it’s always #FiveOClockSomewhere. But hell, why not? Eat a cheeseburger in paradise—or a turkey burger in Florida, as the case may be. Just don’t get drunk and screw without taking your heart medication first, because that would really harsh the buzz. 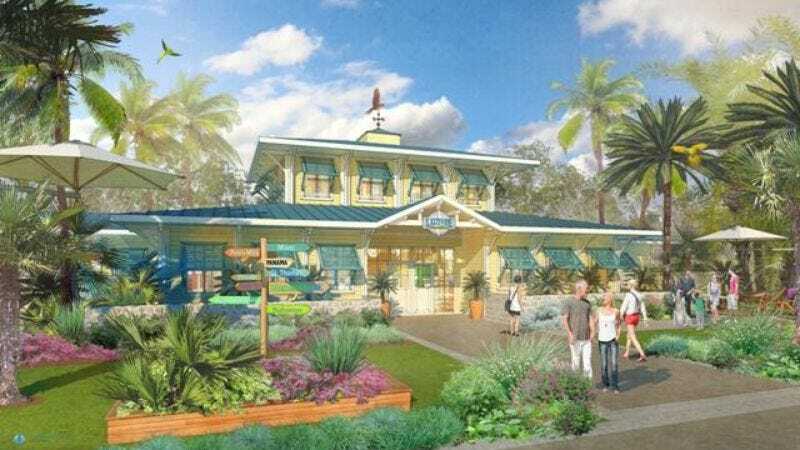 Ground has already been broken for the Latitude Margaritaville development, and it’s slated to open in the fall of this year.